Dunteige shoot is situated on the Glens of Antrim. 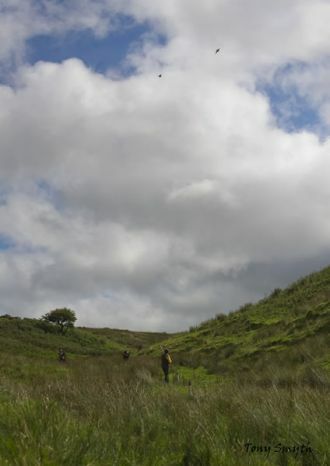 The shoot offers mainly driven duck and partridge days, pheasant and woodcock shooting is also available which is reserved for the shoot syndicate but let days are occasionally available on request if booked in advance. This short video offers a glimpse of Dunteige Shoot, the area and the passion that powers the company's businesses within the Glens of Antrim. If travelling to our shoot from overseas our shoot is ideally situated seven miles from Larne harbour where P&O operate regular short ferry crossings over the Irish Sea or alternatively if travelling by air we are located twenty miles from Belfast international airport, transfers to and from our shoot can be easily arranged if required. A friend and I have just returned after a great day on this shoot this Saturday 14th Sept, will be returning again. Very relaxed and all involved are very keen that you have a great day. The birds are very well presented. Belfast is also a wonderful city to spend some time in. All round a very enjoyable experience.